EDITOR: Richard Helms, the former CIA director was actively involved in expanding Consortium narcotics activities prior to and during the Vietnam War. 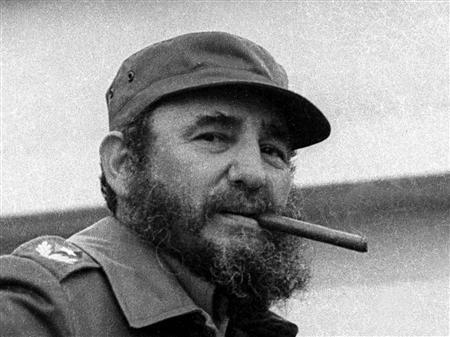 He was a key figure for the Bay of Pigs invasion, The Consortium strongly desired an attack on Cuba because Fidel Castro had confiscated a large portion of Consortium Gold that had been laundered into Cuba by the Italian Mafia under the previous regime. Helms was also actively involved in setting up the South American Cocaine Networks through assassination programs during the Nixon Administration. E. Howard Hunt was a major suspect in the JFK Assassination Investigation and was a top level operative in the Nixon White House. Hunt played a major role in carrying out the dirty work of the Nixon Administration and was directly involved in the Watergate cover-up and subsequent investigation. Hunt played a major role in facilitating DEA activities in South America. Richard Helms was born in St Davids, Philadelphia, on 30th March, 1913. After graduating from Williams College, Massachusetts, he joined the United Press news agency and in 1936 was sent to Nazi Germany to cover the Berlin Olympic Games. On his return to the United States he joined the advertising department of the Indianapolis Times. Two years later he became national advertising manager. After the bombing of Pearl Harbor Helms joined the United States Navy. In August, 1943, he was transferred to the Office of Strategic Services (OSS) that had made established by William Donovan. The OSS had responsibility for collecting and analyzing information about countries at war with the United States. It also helped to organize guerrilla fighting, sabotage and espionage. Frank Wisner was appointed head of the DPP and he appointed Helms as his chief of operations. In December, 1956, Wisner suffered a mental breakdown and was diagnosed as suffering from manic depression. During his absence Wisner’s job was covered by Helms. The CIA sent Wisner to the Sheppard-Pratt Institute, a psychiatric hospital near Baltimore. He was prescribed psychoanalysis and shock therapy (electroconvulsive treatment). It was not successful and still suffering from depression, he was released from hospital in 1958. Wisner was too ill to return to his post as head of the DDP. 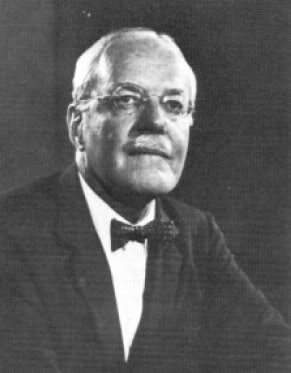 Allen W. Dulles therefore sent him to London to be CIA chief of station in England. Dulles decided that Richard Bissell rather than Helms should become the new head of the DPP. Helms was named as his deputy. Together they became responsible for what became known as the CIA’s Black Operations. This involved a policy that was later to become known as Executive Action (a plan to remove unfriendly foreign leaders from power). 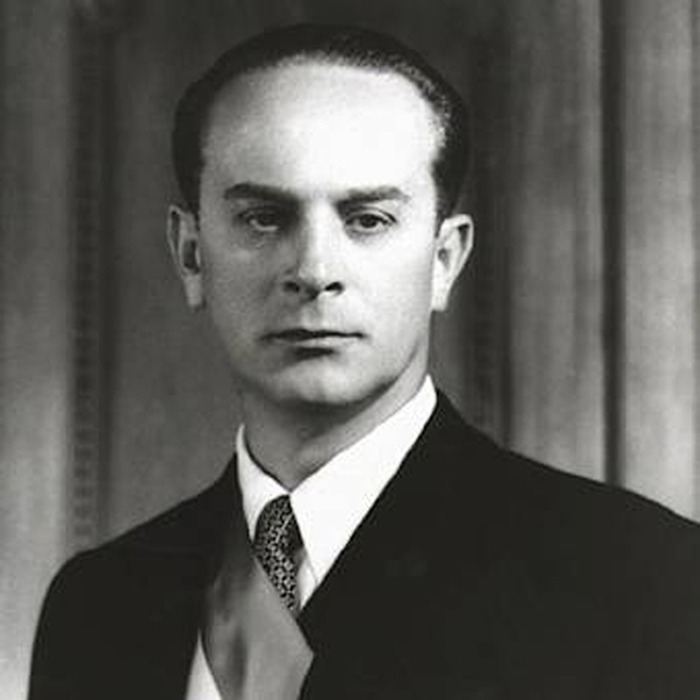 This including a coup d’état that overthrew the Guatemalan government of Jacobo Arbenz in 1954 after he introduced land reforms and nationalized the United Fruit Company. 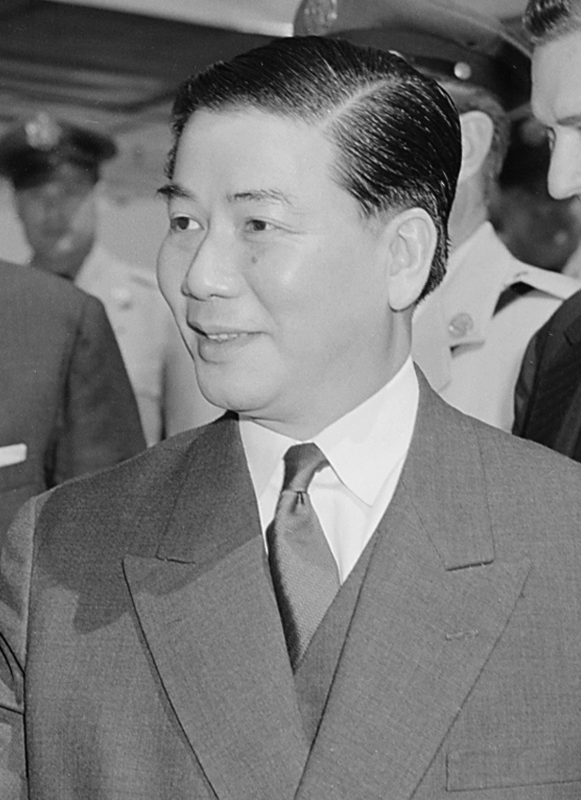 Other political leaders deposed by Executive Action included Patrice Lumumba of the Congo, the Dominican Republic dictator Rafael Trujillo, General Abd al-Karim Kassem of Iraq and Ngo Dinh Diem, the leader of South Vietnam. However, his main target was Fidel Castro who had established a socialist government in Cuba. In March I960, President Dwight Eisenhower of the United States approved a CIA plan to overthrow Castro. The plan involved a budget of $13 million to train “a paramilitary force outside Cuba for guerrilla action.” The strategy was organized by Bissell and Helms. An estimated 400 CIA officers were employed full-time to carry out what became known as Operation Mongoose. Sidney Gottlieb of the CIA Technical Services Division was asked to come up with proposals that would undermine Castro’s popularity with the Cuban people. Plans included a scheme to spray a television studio in which he was about to appear with an hallucinogenic drug and contaminating his shoes with thallium which they believed would cause the hair in his beard to fall out. These schemes were rejected and instead Bissell and Helms decided to arrange the assassination of Fidel Castro. In September 1960, Bissell and Allen W. Dulles, the director of the Central Intelligence Agency (CIA), initiated talks with two leading figures of the Mafia, Johnny Roselli and Sam Giancana. Later, other crime bosses such as Carlos Marcello, Santos Trafficante and Meyer Lansky became involved in this plot against Castro. Robert Maheu, a veteran of CIA counter-espionage activities, was instructed to offer the Mafia $150,000 to kill Fidel Castro. The advantage of employing the Mafia for this work is that it provided CIA with a credible cover story. The Mafia were known to be angry with Castro for closing down their profitable brothels and casinos in Cuba. If the assassins were killed or captured the media would accept that the Mafia were working on their own. The Federal Bureau of Investigation had to be brought into this plan as part of the deal involved protection against investigations against the Mafia in the United States. Castro was later to complain that there were twenty ClA-sponsored attempts on his life. Eventually Johnny Roselli and his friends became convinced that the Cuban revolution could not be reversed by simply removing its leader. However, they continued to play along with this CIA plot in order to prevent them being prosecuted for criminal offences committed in the United States. When John F. Kennedy replaced Dwight Eisenhower as president of the United States he was told about the CIA plan to invade Cuba. Kennedy had doubts about the venture but he was afraid he would be seen as soft on communism if he refused permission for it to go ahead. Kennedy’s advisers convinced him that Fidel Castro was an unpopular leader and that once the invasion started the Cuban people would support the ClA-trained forces. On April 14, 1961, B-26 planes began bombing Cuba’s airfields. After the raids Cuba was left with only eight planes and seven pilots. Two days later five merchant ships carrying 1,400 Cuban exiles arrived at the Bay of Pigs. The attack was a total failure. Two of the ships were sunk, including the ship that was carrying most of the supplies. Two of the planes that were attempting to give air-cover were also shot down. Within seventy-two hours all the invading troops had been killed, wounded or had surrendered. After the CIA’s internal inquiry into this fiasco, Allen W. Dulles was sacked by President John F. Kennedy and Richard Bissell was forced to resign. Helms now took over the Directorate for Plans. His deputy was Thomas H. Karamessines. Helms now introduced a campaign that involved covert attacks on the Cuban economy. When John F. Kennedy was assassinated in Dallas, Helms was given the responsibility of investigating Lee Harvey Oswald and the CIA. Helms initially appointed John M. Whitten to undertake the agency’s in-house investigation. After talking to Winston Scott, the CIA station chief in Mexico City, Whitten discovered that Oswald had been photographed at the Cuban consulate in early October, 1963. Nor had Scott told Whitten, his boss, that Oswald had also visited the Soviet Embassy in Mexico. In fact, Whitten had not been informed of the existence of Oswald, even though there was a 201 pre-assassination file on him that had been maintained by the Counterintelligence/Special Investigative Group. John M. Whitten and his staff of 30 officers, were sent a large amount of information from the FBI. According to Gerald D. McKnight “the FBI deluged his branch with thousands of reports containing bits and fragments of witness testimony that required laborious and time-consuming name checks.” Whitten later described most of this FBI material as “weirdo stuff”. As a result of this initial investigation, Whitten told Richard Helms that he believed that Oswald had acted alone in the assassination of John F. Kennedy. On 6th December, Nicholas Katzenbach invited John M. Whitten and Birch O’Neal, Angleton’s trusted deputy and senior Special Investigative Group (SIG) officer to read Commission Document 1 (CD1), the report that the FBI had written on Lee Harvey Oswald. Whitten now realized that the FBI had been withholding important information on Oswald from him. He also discovered that Richard Helms had not been providing him all of the agency’s available files on Oswald. This included Oswald’s political activities in the months preceding the assassination. President Lyndon B. Johnson appointed Admiral William Raborn, head of the Central Intelligence Agency (CIA). Helms became Raborn’s deputy but became increasingly influential over decisions being made in Vietnam. This included the covert action in neighboring Laos and the formation of South Vietnamese counter-terror teams. The following year Johnson promoted Helms to become head of the CIA. He was the first director of the organization to have worked his way up from the ranks. His standing with Johnson improved when he successfully predicted a quick victory for Israel during the Six Day War in June, 1967. However, Helms information about the size of enemy forces in Vietnam was less accurate. 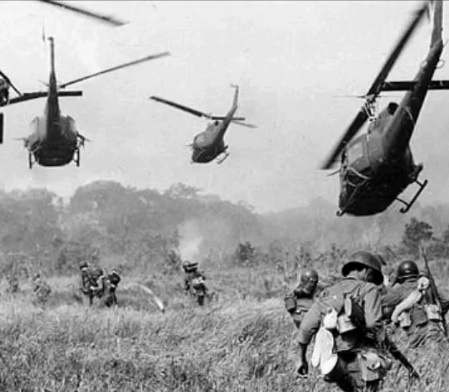 Johnson was told in November, 1967, that the North Vietnamese and Viet Cong forces had fallen to 248,000. 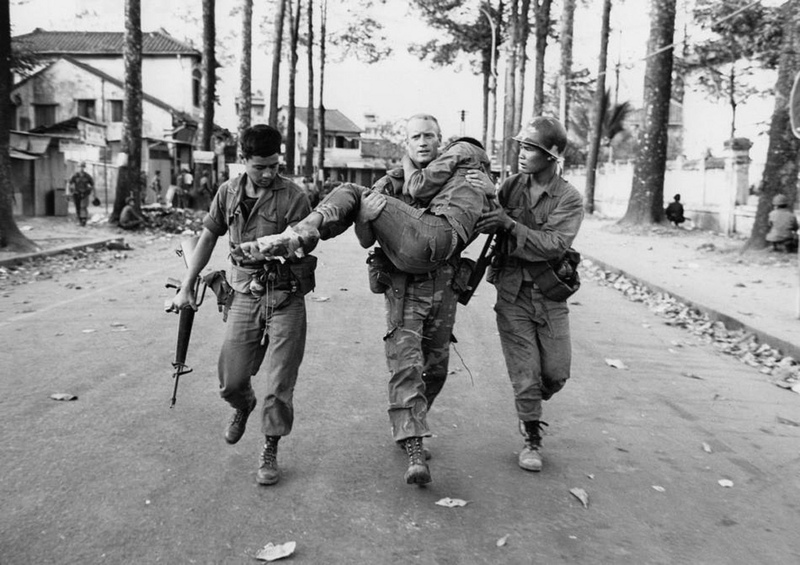 In reality the true figure was close to 500,000 and United States troops were totally unprepared for the Tet Offensive. 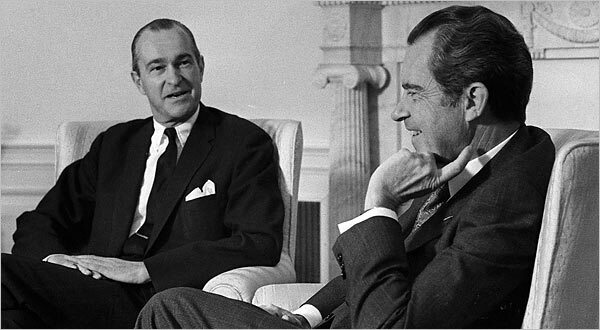 Under President Richard Nixon, Helms agreed to implement what became known as the Huston Plan. This was a proposal for all the country’s security services to combine in a massive internal surveillance operation. 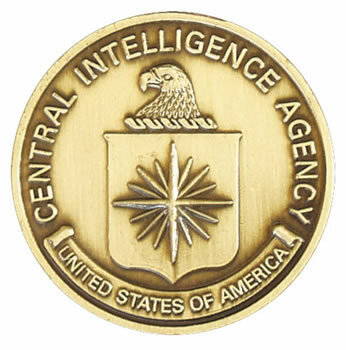 In doing so, Helms became involved in a secret conspiracy as it was illegal for the Central Intelligence Agency to operate within the United States. In 1970 it seemed that Salvador Allende and his Socialist Workers’ Party would win the general election in Chile. Various multinational companies, including International Telephone and Telegraph (ITT), feared what would happen if Allende gained control of the country. Helms agreed to use funds supplied by these companies to help the right-wing party gain power. 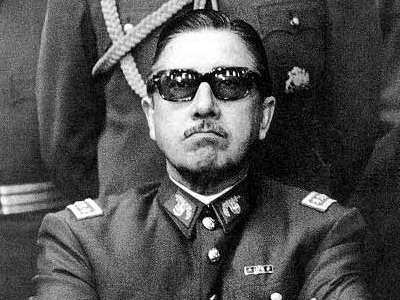 When this strategy ended in failure, Nixon ordered Helms to help the Chilean armed forces to overthrow Allende. On 11th September, 1973, a military coup removed Allende’s government from power. Allende died in the fighting in the presidential palace in Santiago and General Augusto Pinochet replaced him as president. During the Watergate Scandal President Richard Nixon became concerned about the activities of the Central Intelligence Agency. Three of those involved in the burglary, E. Howard Hunt, Eugenio Martinez and James W. McCord had close links with the CIA. Nixon and his aides attempted to force the CIA director, Richard Helms, and his deputy, Vernon Walters, to pay hush-money to Hunt, who was attempting to blackmail the government. Although it seemed Walters was willing to do this, Helms refused. In February, 1973, Nixon sacked Helms. His deputy, Thomas H. Karamessines, resigned in protest. The following month Helms became U.S. Ambassador to Iran. 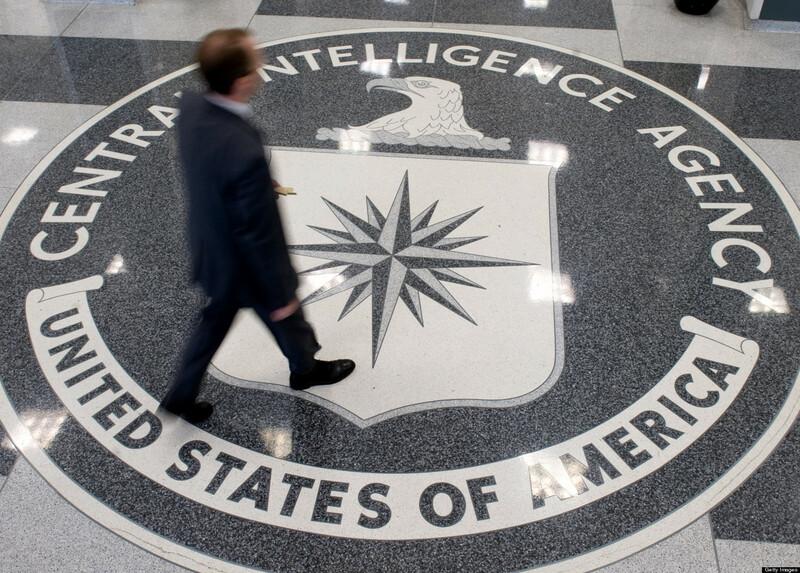 James Schlesinger now became the new director of the CIA. Schlesinger was heard to say: “The clandestine service was Helms’s Praetorian Guard. It had too much influence in the Agency and was too powerful within the government. I am going to cut it down to size.” This he did and over the next three months over 7 per cent of CIA officers lost their jobs. Investigations by the CIA’s Inspector General and by Frank Church and his Select Committee on Intelligence Activities showed that Helms had lied to the Senate Foreign Relations Committee. They also discovered that Helms had been involved in illegal domestic surveillance and the murders of Patrice Lumumba, General Abd al-Karim Kassem and Ngo Dinh Diem. Helms was eventually found guilty of lying to Congress and received a suspended two-year prison sentence. In its final report, issued in April 1976, the Select Committee to Study Governmental Operations with Respect to Intelligence Activities concluded: “Domestic intelligence activity has threatened and undermined the Constitutional rights of Americans to free speech, association and privacy. It has done so primarily because the Constitutional system for checking abuse of power has not been applied.” The committee also revealed details for the first time of what the CIA called Operation Mockingbird. 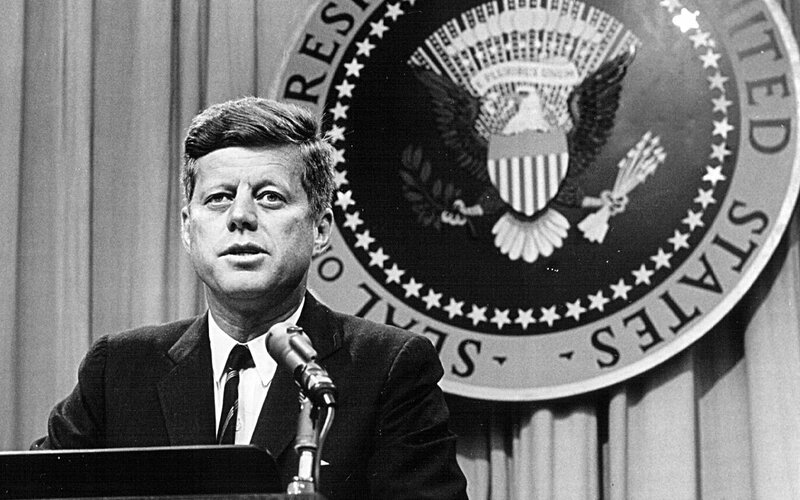 The committee also reported that the Central Intelligence Agency had withheld from the Warren Commission, during its investigation of the assassination of John F. Kennedy, information about plots by the Government of the United States against Fidel Castro of Cuba; and that the Federal Bureau of Investigation had conducted a counter-intelligence program (COINTELPRO) against Martin Luther King and the Southern Christian Leadership Conference. Whitten also pointed out that as soon as Angleton took control of the investigation he concluded that Cuba was unimportant and focused his internal investigation on Oswald’s life in the Soviet Union. If Whitten had remained in charge he would have “concentrated his attention on CIA’s JM/WAVE station in Miami, Florida, to uncover what George Joannides, the station chief, and operatives from the SIG and SAS knew about Oswald.” When he appeared before the HSCA Whitten revealed that he had been unaware of the CIA’s Executive Action program. He added that he thought it possible that Lee Harvey Oswald might have been involved in this assassination operation. Richard Helms died on 22nd October, 2002. As one commentator pointed out at the time: “Helms had gone to his grave with the sole knowledge of what Congress did not manage to uncover.” His autobiography, A Look Over My Shoulder: A Life in the CIA, was published in 2003. 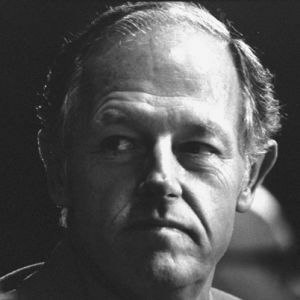 Everette Howard Hunt was born in Hamburg, on 9th October, 1918. During the Second World War Hunt served in the Office of Strategic Services. After the war he joined the Central Intelligence Agency (CIA) and for a while was stationed in China. While there he met and married Dorothy Hunt. In 1949 Hunt establish the first postwar CIA station in Mexico City. He also worked closely with President Anastasio Somoza of Nicaragua. Hunt was involved in clandestine operations in Guatemala against President Jacobo Arbenz. The plot against Arbenz became part of Executive Action (a plan to remove unfriendly foreign leaders from power). Tracy Barnes was eventually placed in charge of what became known as Operation Success. David Atlee Phillips was appointed to run the propaganda campaign against Arbenz’s government. According to Phillips he initially questioned the right of the CIA to interfere in Guatemala: In his autobiography Phillips claims he said to Barnes: “But Arbenz became President in a free election. What right do we have to help someone topple his government and throw him out of office?” However, Barnes convinced him that it was vital important that the Soviets did not establish a “beachhead in Central America”. The CIA propaganda campaign included the distribution of 100,000 copies of a pamphlet entitled Chronology of Communism in Guatemala. They also produced three films on Guatemala for showing free in cinemas. David Atlee Phillips, along with Hunt, was responsible for running the CIA’s Voice of Liberation radio station. Faked photographs were distributed that claimed to show the mutilated bodies of opponents of Arbenz. William (Rip) Robertson was also involved in the campaign against Arbenz. The CIA began providing financial and logistic support for Colonel Carlos Castillo. With the help of resident Anastasio Somoza, Castillo had formed a rebel army in Nicaragua. It has been estimated that between January and June, 1954, the CIA spent about $20 million on Castillo’s army. On 18th June 1954 aircraft dropped leaflets over Guatemala demanding that Arbenz resign immediately or else the county would be bombed. CIA’s Voice of Liberation also put out similar radio broadcasts. This was followed by a week of bombing ports, ammunition dumps, military barracks and the international airport. Carlos Castillo’s collection of soldiers now crossed the Honduran-Guatemalan border. His army was outnumbered by the Guatemalan Army. However, the CIA Voice of Liberation successfully convinced Arbenz’s supporters that two large and heavily armed columns of invaders were moving towards Guatemala City. The CIA was also busy bribing Arbenz’s military commanders. It was later discovered that one commander accepted $60,000 to surrender his troops. Ernesto Guevara attempted to organize some civil militias but senior army officers blocked the distribution of weapons. Jacobo Arbenz now believed he stood little chance of preventing Castillo gaining power. Accepting that further resistance would only bring more deaths he announced his resignation over the radio. In 1959 Hunt visited Cuba and decided that Fidel Castro posed a serious threat to the security of the United States: “I wrote a top secret report, and I had five recommendations, one of which was the one that’s always been thrown at me, is that during… or… slightly antecedent to an invasion, Castro would have to be neutralized – and we all know what that meant, although I didn’t want to say so in a memorandum with my name on it.” Hunt played an important role in planning the failed Bay of Pigs invasion. 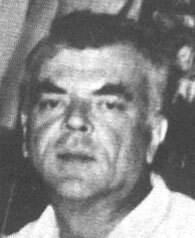 Hunt was CIA station chief in Mexico during the early 1960s and was rumored to have been involved in the conspiracy to assassinate John F. Kennedy. It was falsely claimed that he was one of the men arrested in Dallas on the day of the murder. In 1970 Hunt officially retired from the Central Intelligence Agency. On the advice of Richard Helms, Hunt went to work for Robert F. Bennett, the head of the Robert Mullen & Co, a small public relations company in Washington. On 7th July, 1971, Charles Colson and John Ehrlichman appointed Hunt to the White House staff. Working under Egil Krogh and Gordon Liddy Hunt became a member of the Special Investigations Group (SIG). The group was (informally known as “the Plumbers” because their job was to stop leaks from Nixon’s administration). On 15th May, 1972, Arthur Bremer tried to assassinate George Wallace at a presidential campaign rally in Laurel, Maryland. Wallace was hit four times. Three other people, Alabama State Trooper Captain E. C. Dothard, Dora Thompson, a Wallace campaign volunteer, and Nick Zarvos, a Secret Service agent, were also wounded in the attack. Richard Nixon was deeply shocked by this event. 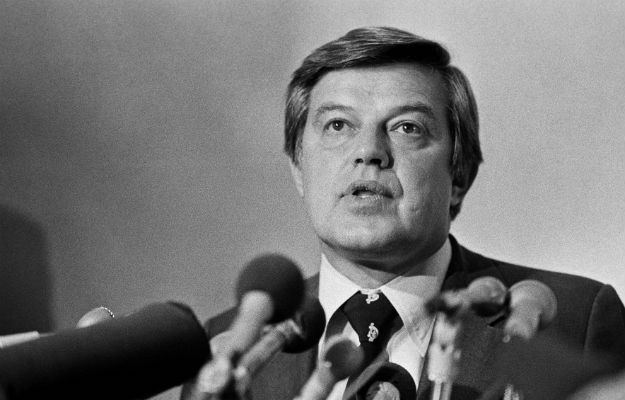 He told Charles Colson, a member of his White House staff, that he was concerned that Bremer “might have ties to the Republican Party or, even worse, the President’s re-election committee”. 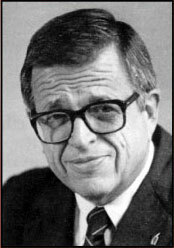 Colson now phoned Hunt and asked him to break-in to Bremer’s apartment to discover if he had any documents that linked him to Nixon or his main political opponent in the presidential election, George McGovern. According to Hunt’s autobiography, Undercover, he refused to carry out this order. Later that year the SIG became concerned about the activities of Daniel Ellsberg. He was a former member of the McNamara Study Group which had produced the classified History of Decision Making in Vietnam, 1945-1968. Ellsberg, disillusioned with the progress of the war, believed this document should be made available to the public. 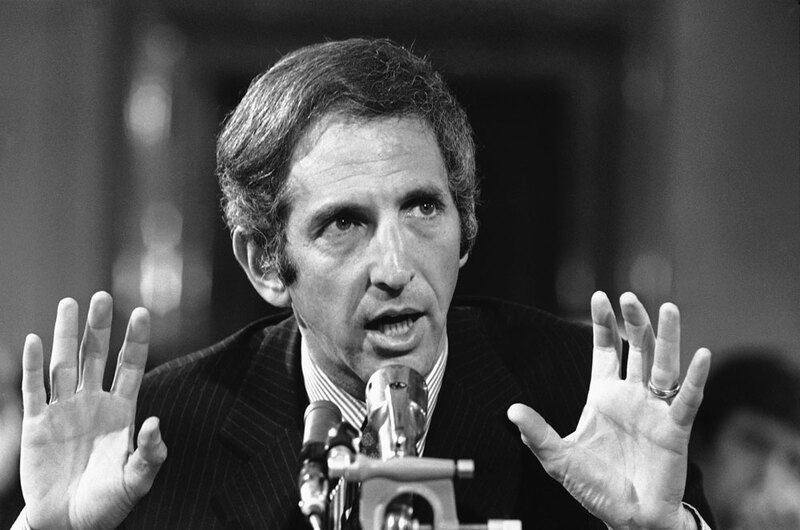 Ellsberg gave a copy of what later became known as the Pentagon Papers to Phil Geyelin of the Washington Post. Katharine Graham and Ben Bradlee decided against publishing the contents on the document. Daniel Ellsberg now went to the New York Times and they began publishing extracts from the document on 13th June, 1971. This included information that Dwight Eisenhower had made a secret commitment to help the French defeat the rebellion in Vietnam. The document also showed that John F. Kennedy had turned this commitment into a war by using a secret “provocation strategy” that led to the Gulf of Tonkin incidents and that Lyndon B. Johnson had planned from the beginning of his presidency to expand the war. On 3rd September, 1971, Hunt and Gordon Liddy supervised the burglary of a psychiatrist who had been treating Ellsberg. The main objective was to discover incriminating or embarrassing information to discredit Ellsberg. Another project involved the stealing of certain documents from the safe of Hank Greenspun, the editor of the Las Vegas Sun. Later, James W. McCord claimed that Greenspun was being targeted because of his relationship with Robert Maheu and Howard Hughes. 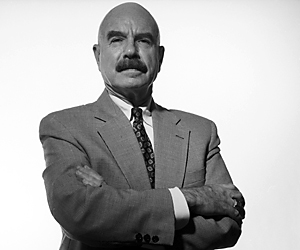 In 1972 Gordon Liddy joined the Committee to Re-Elect the President (CREEP). Later that year Liddy presented Nixon’s attorney general, John N. Mitchell, with an action plan called Operation Gemstone. Liddy wanted a $1 million budget to carry out a series of black ops activities against Nixon’s political enemies. Mitchell decided that the budget for Operation Gemstone was too large. Instead he gave him $250,000 to launch a scaled-down version of the plan. One of Liddy’s first tasks was to place electronic devices in the Democratic Party campaign offices in an apartment block called Watergate. Liddy wanted to wiretap the conversations of Larry O’Brien, chairman of the Democratic National Committee and R. Spencer Oliver, executive director of the Association of State Democratic Chairmen. This was not successful and on 3rd July, 1972, Frank Sturgis, Virgilio Gonzalez, Eugenio Martinez, Bernard L. Barker and James W. McCord returned to the Watergate offices. However, this time they were caught by the police. The phone number of Howard Hunt was found in address books of two of the burglars. Reporters were able to link the break-in to the White House. Bob Woodward, a reporter working for the Washington Post was told by a friend who was employed by the government, that senior aides of President Richard Nixon, had paid the burglars to obtain information about its political opponents. Hunt threatened to reveal details of who paid him to organize the Watergate break-in. Dorothy Hunt took part in the negotiations with Charles Colson. According to investigator Sherman Skolnick, Hunt also had information on the assassination of John F. Kennedy. 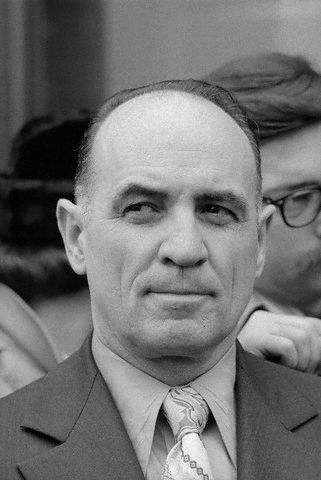 He argued that if “Nixon didn’t pay heavy to suppress the documents they had showing he was implicated in the planning and carrying out, by the FBI and the CIA, of the political murder of President Kennedy” James W. McCord claimed that Dorothy Hunt told him that at a meeting with her husband’s attorney, William O. Buttmann, she revealed that Hunt had information that would “blow the White House out of the water”. In October, 1972, Dorothy attempted to speak to Charles Colson. He refused to talk to her but later admitted to the New York Times that she was “upset at the interruption of payments from Nixon’s associates to Watergate defendants.” On 15th November, Colson met with Richard Nixon, H. R. Haldeman and John Ehrlichman at Camp David to discuss Howard Hunt’s blackmail threat. John N. Mitchell was also getting worried by Dorothy Hunt’s threats and he asked John Dean to use a secret White House fund to “get the Hunt situation settled down”. Eventually it was arranged for Frederick LaRue to give Hunt about $250,000 to buy his silence. However, on 8th December, 1972, Dorothy Hunt had a meeting with Michelle Clark, a journalist working for CBS. According to Sherman Skolnick, Clark was working on a story on the Watergate case: “Ms Clark had lots of insight into the bugging and cover-up through her boyfriend, a CIA operative.” Also with Hunt and Clark was Chicago Congressman George Collins. Dorothy Hunt, Michelle Clark and George Collins took the Flight 533 from Washington to Chicago. The aircraft hit the branches of trees close to Midway Airport: “It then hit the roofs of a number of neighborhood bungalows before plowing into the home of Mrs. Veronica Kuculich at 3722 70th Place, demolishing the home and killing her and a daughter, Theresa. The plane burst into flames killing a total of 45 persons, 43 of them on the plane, including the pilot and first and second officers. Eighteen passengers survived.” Hunt, Clark and Collins were all killed in the accident. The following month Howard Hunt pleaded guilty to burglary and wiretapping and eventually served 33 months in prison. He later told People Magazine (20th May, 1974): ”I had always assumed, working for the CIA for so many years, that anything the White House wanted done was the law of the land. `I viewed this like any other mission. It just happened to take place inside this country.” In a comprehensive analysis of Hunt’s work published in The New York Review of Books in 1973, Gore Vidal argued that Hunt might have written the diary that was found in the car of Arthur H. Bremer, the man who attempted to assassinate George Wallace of Alabama. In August, 1978, Victor Marchetti published an article about the assassination of John F. Kennedy in the liberty Lobby newspaper, Spotlight. In the article Marchetti argued that the House Special Committee on Assassinations (HSCA) had obtained a 1966 CIA memo that revealed Hunt, Frank Sturgis and Gerry Patrick Hemming had been involved in the plot to kill Kennedy. Marchetti’s article also included a story that Marita Lorenz had provided information on this plot. Later that month Joseph Trento and Jacquie Powers wrote a similar story for the Sunday News Journal.The HSCA did not publish this CIA memo linking its agents to the assassination of John F. Kennedy. Hunt now decided to take legal action against the Liberty Lobby and in December, 1981, he was awarded $650,000 in damages. Liberty Lobby appealed to the United States Court of Appeals. It was claimed that Hunt’s attorney, Ellis Rubin, had offered a clearly erroneous instruction as to the law of defamation. The three-judge panel agreed and the case was retried. This time Mark Lane defended the Liberty Lobby against Hunt’s action. Lane eventually discovered Marchetti’s sources. The main source was William Corson. It also emerged that Marchetti had also consulted James Angleton and Alan J. Weberman before publishing the article. 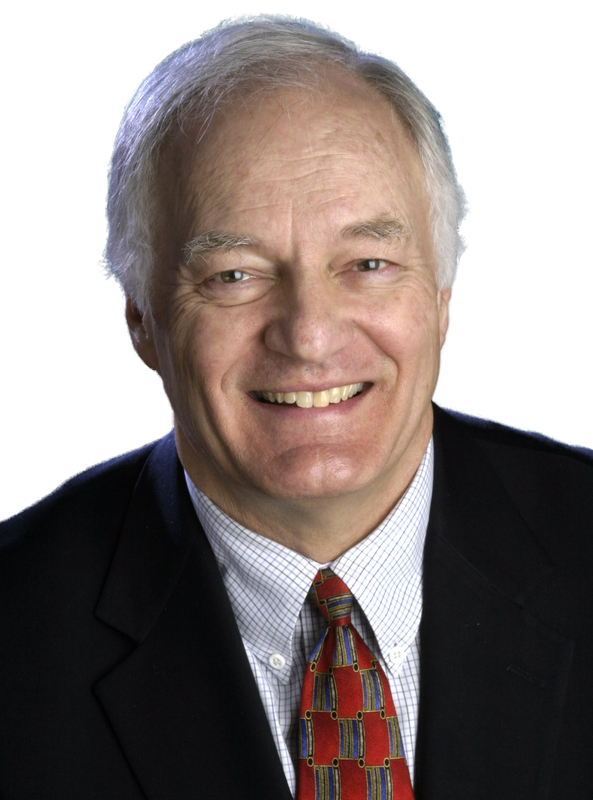 As a result of obtaining of getting depositions from David Atlee Phillips, Richard Helms, G. Gordon Liddy, Stansfield Turner and Marita Lorenz, plus a skillful cross-examination by Lane of Hunt, the jury decided in January, 1995, that Marchetti had not been guilty of libel when he suggested that John F. Kennedy had been assassinated by people working for the CIA.As a result of the failed legal action, in June, 1995, Hunt filed for bankruptcy protection from his creditors. Hunt spent his final years quietly in his home in Miami’s Biscayne Park neighborhood with his second wife, Laura Martin Hunt.Edward Howard Hunt died of pneumonia on 23rd January, 2007. His memoir American Spy: My Secret History in the CIA, Watergate, and Beyond was published in May 2007.